Materials will be read and discussed during the month after the session. We are so glad you are participating in the leadership track with us. We want to equip you! This leadership track is designed as a leadership development experience for current and future Parkview leaders. We want to develop the whole person by emphasizing growth in knowledge (head), character (heart), and skills (hands). Parkview desires to be a place where leaders are encouraged in their walk with God and equipped for ministry. This leadership track will be a place where our leaders are given the structure, teaching, and resources to grow together. We will focus on developing the head, heart, and hands in the context of large group teaching (classes), smaller group community (cohorts), mentoring, and ministry experiences. Develop future leaders for ministry at Parkview and beyond. 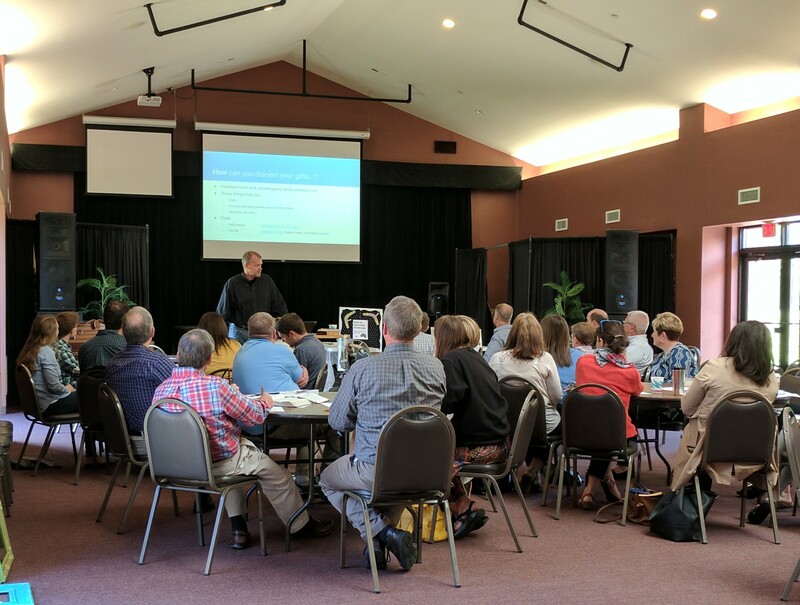 Equip and encourage current ministry leaders at Parkview. Increase in biblical knowledge about how theology intersects with Christian leadership. Grow in character and walk with God by focusing on personal growth areas and spiritual disciplines. Develop important leadership competencies and ministry skills. Apply the leadership topics to various areas of life such as work, home, relationships, and school. Each session will cover a broad category of theology and apply it to Christian leadership. Elements of a leader’s head, heart, and hands will be woven into the session topics. There will be six of these sessions, three in the Spring and three in the Fall. These are smaller discussion groups led by Parkview leaders who will act as coaches and mentors. Meet once a month to discuss and apply the topics of each large group training session. These groups will strengthen relationships and enhance practical application of the training material to one’s personal life and ministry context. Engage with Scripture on each topic. Complete the growth projects for each training topic. These will include reading articles or book chapters, watching videos, or listening to speakers on the topics. Reflect on the material by completing application projects such as journaling and answering action questions. Why are we doing cohorts? Simply put, God uses community in powerful ways! These cohorts (small group discussion meetings) will help you process and apply the leadership track material with like-minded leaders and mentors. Cohort leaders will help guide the group toward greater understanding of what you are learning as well as help you apply the important principles of each session and reading assignments to your life and ministry. Your cohort is designed to meet one time for each large group session (about once each month). There are six large group meetings, so your aim as a cohort is to meet sometime during the month after each large group session.